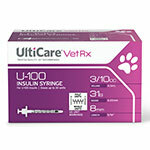 UltiCare U-100 Vet Rx Veterinary Insulin Syringes 29g 3/10cc 1/2" 100/bx is the complete home syringe dispense and dispose system. 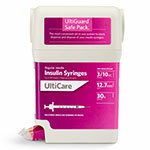 The all-in-one unit includes 100 Premium Quality UltiCare Vet Rx U-100 Insulin Syringes preloaded in the bottom dispenser for quick and easy access. 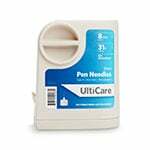 29 gauge 3/10cc needle 1/2"
They were Perfect...exactly what I was looking for!! Very easy to use. 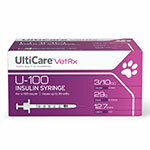 Pet accepts the syringe without skirming. Fast service, thank you so much. Perfect. Have had 4 others in 3 yrs..not from you. Plunger does not stick. Length of needle fits my dog's comfort zone. Easy reading dose. Right price. Prompt delivery. Exceeded my expectations. 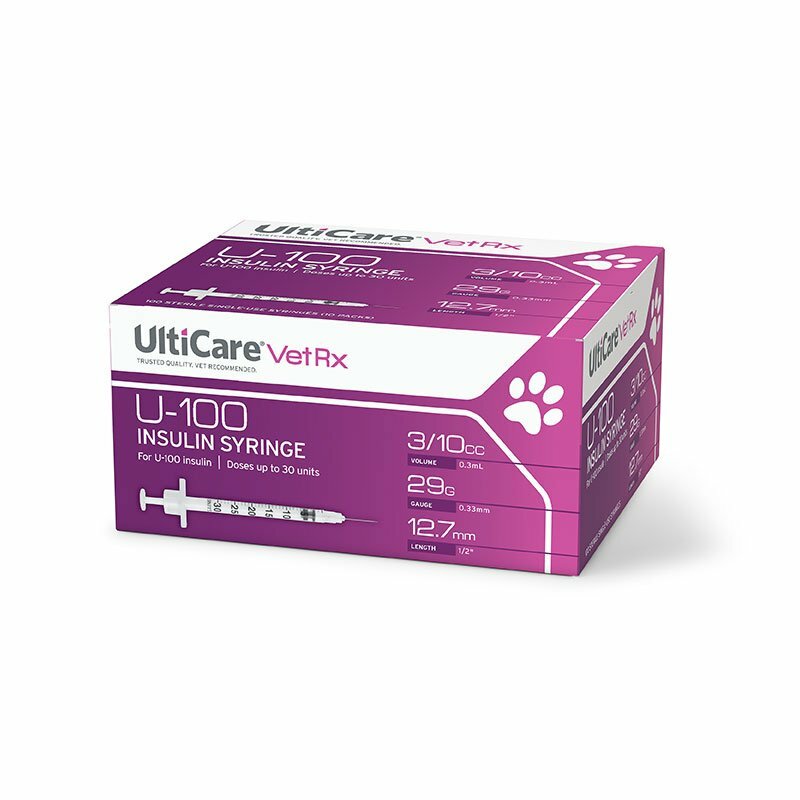 The needles are high quality, same brand as I got from Vet., but I messed up and should have ordered U-40, which I should have today. Is there a conversion chart so I don't have to discard the U-100. These syringes are the perfect size for my pet. 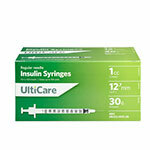 The process of administering the injections is easy with these syringes. Great product. Quick delivery. Much cheaper than at vets office. Just what my dong needed!Will continue to order from you. Thanks a million.